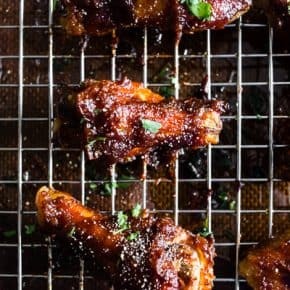 These apple butter honey mustard chicken wings are easy to make, delicious and are the perfect football food. 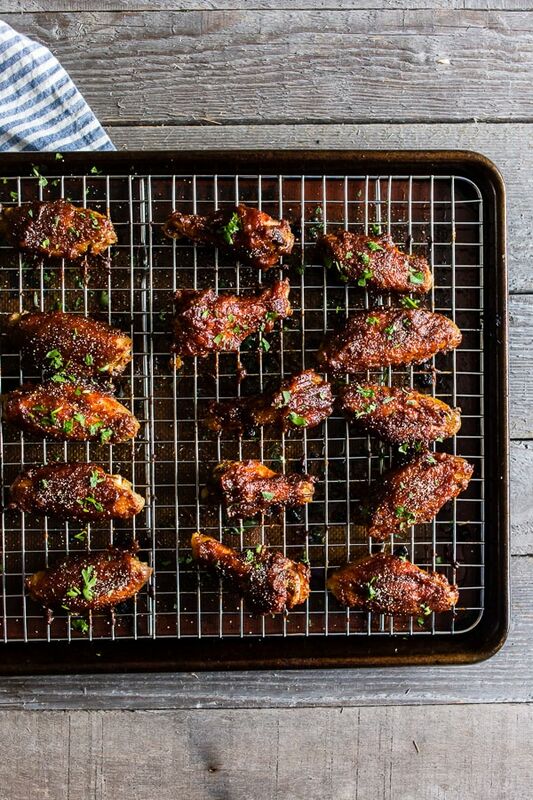 The wings are baked until crispy (no messy frying!) and basted in a homemade apple butter honey mustard sauce. You’re going to love these wings! It’s that time of the year again. You know the time – football time! Ok, well, to be honest, I’m pretty sure it’s been football season for awhile BUT I really don’t pay attention to things unless it somehow related to food. I’m the worst sports person ever. Funny enough when I first started dating my husband I tried to pretend I liked sports in order to lure him in. It sorta worked BUT since I didn’t want to build our relationship on lies I finally fessed up. Don’t worry – he never believed me anyway. Besides, who needs all the sports nonsense when you can devour the sports party food? 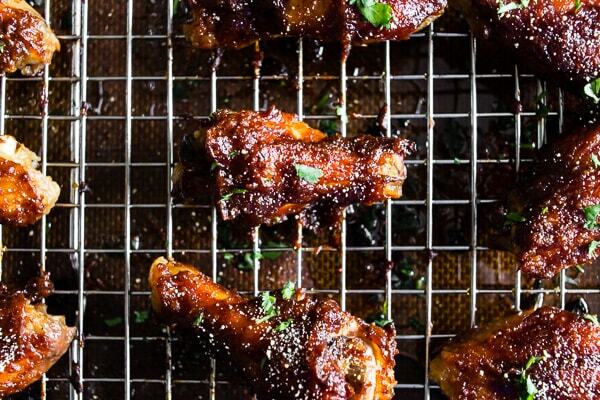 LIKE delicious chicken wings based in homemade apple butter honey mustard sauce. It’s ahhhhhhmazing y’all. I have a thing for chicken wings but that’s just because they are pretty much the best thing ever. I almost always bake them in the oven or grill them. I never bother with frying because frying is just not my thing. I mean, I fry sometimes BUT really only when it rewards in donuts. 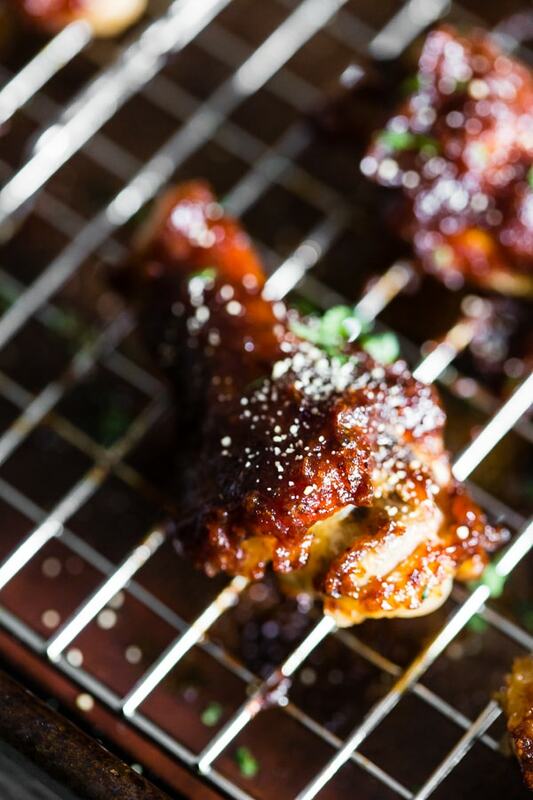 Plus, baking chicken wings makes them come out super crispy and we are all about the crispy skin – am I right? Now, this sauce is the best combo of sweet and tangy. 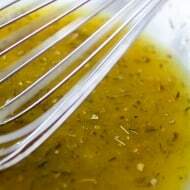 I really love the addition of spicy brown mustard but if you don’t have that on hand you can always use whole grain or even Dijon mustard. Of course, the best part is the Musselman’s apple butter. It’s like the best most apple packed spread EVER! Growing up we ate it a lot on bread but as an adult I lean towards using it in a lot of savory dishes. Some of my favorites are my baked apple butter ham and cheese sandwiches, apple butter bacon wrapped shrimp or my chipotle apple butter carnitas. 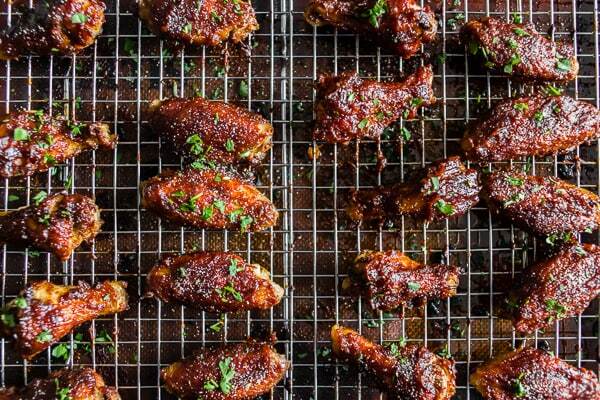 These apple butter honey mustard chicken wings are easy to make, delicious and are the perfect football food. 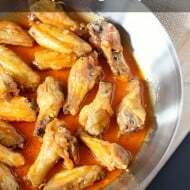 The wings are baked until crispy (no messy frying!) and basted in a homemade apple butter honey mustard sauce. You're going to love these wings! Preheat oven to 400 degrees and line a rimmed baking sheet with parchment paper or a Silpat liner. Remove from the oven and baste the chicken wings with the sauce and place back in oven. I sauced mine on both sides about 2-3 times so they were saucy. Watch your wings while in the oven as they can burn very quickly. 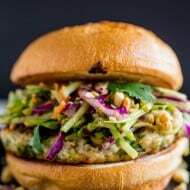 Serve them with a sprinkling of cilantro and honey granules. You can follow Musselman’s on Facebook, Instagram, Pinterest and Twitter! These sound soooo good! Making these for the Super Bowl for sure! Sports party food is the BEST. And these wings? TOPS. What a combination of flavors and what a delicious treat for party guests. Definitely the perfect snack for game day! Oooh apple butter would make the BEST chicken wings! I know these are all sweet and savory at the same time, whick I love.